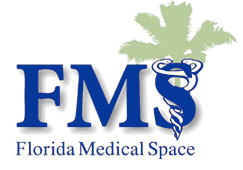 Florida Medical Space, Inc. announced today that Mellissa Moore has joined the firm as Medical Real Estate Consultant. Mellissa is a senior real estate professional with more than a decade of real estate valuation, sales and acquisition, as well as finance, alternative energy and design experience. Over that time Ms. Moore has achieved significant expertise and knowledge in the following disciplines including but not limited to, real estate valuation as a Certified Real Estate Appraiser; real estate sales, acquisitions, and leasing as a Licensed REALTOR; creative finance and tax shelter options for real estate acquisitions via Self Directed retirements funds and 1031 exchanges; syndications; architectural design principles; as well as, alternative energy sales, finance, design, development and implementation. Through these activities Ms. Moore has helped many clients achieve their real estate, valuation, alternative energy, and design goals. Currently focused on the Florida Medical Office Building (MOB) market, Ms. Moore is focused on assisting South Florida’s medical professionals, office building owners and investors meet the ever increasing demand for healthcare services in the South Florida region. Ms. Moore has assumed responsibility for leasing a growing portfolio of 300,000 square feet of medical office space on and around hospital campuses in Broward and Palm Beach Counties. She can be reached via email at mellissa@floridamedspace.com.